Tomorrow is Thanksgiving! I hope you have a tasty day surrounded by friends, family, turkey and stuffing. 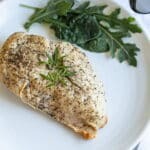 For today, I’m telling you about a recipe that would be perfect for dinner the night before Thanksgiving. It’s for a no-fuss super-easy slow-cooker vegetarian bean soup that I know you and your family will love. 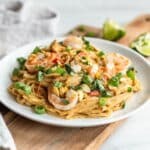 The best part is that it’s a healthy recipe so you can save up some of those calories for use at tomorrow’s big dinner. This year I’m thankful for my slow cooker. I was once a skeptic. Truly. But after seeing all the delicious slow cooker recipes on Pinterest I started to realize that I was missing something. That something turned out to be the key to easy weeknight dinners. Nowadays I use my slow cooker for dinner at least once a week. It’s so wonderful to know that dinner is taken care of early in the day and that I don’t have to think about it at all. 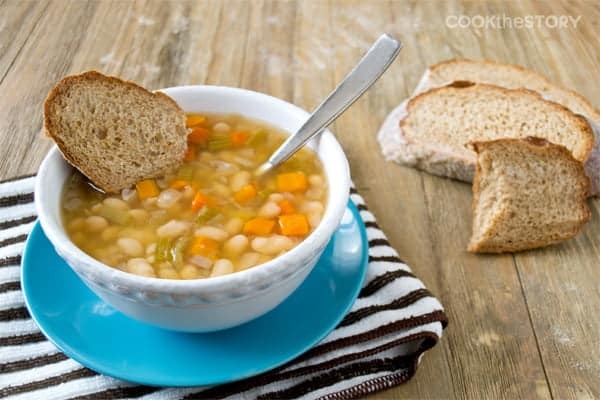 This slow cooker bean soup uses dry beans that are cooked in the slow cooker and then turned into a warm and wonderful weeknight soup. I learned how to cook dried beans in a slow cooker over at Kalyn’s Kitchen. 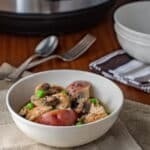 Once I tried the basic technique I realized that I could easily go from cooked beans to bean soup right inside my slow cooker. 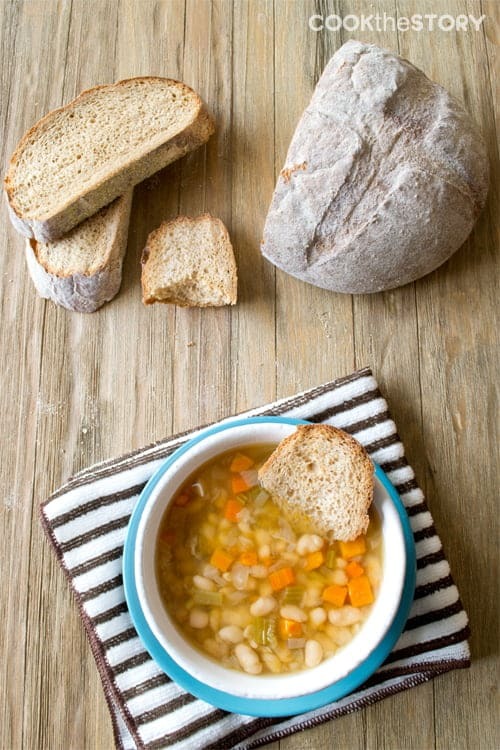 And then this slow cooker vegetarian bean soup recipe was born. The flavors in this bean soup recipe remind me of the flavors in Italian sausage: Fennel, garlic, chili and oregano. (You can absolutely add cooked sausage to it at the end before serving. Or leave it as it is for a hearty vegetarian bean soup). If you don’t have time to wait for a slow cooker vegetarian soup, you should check out my 15-Minute Soup Recipe Collection. More specifically, I have a 15-minute vegetable soup recipe that I think you’ll love! 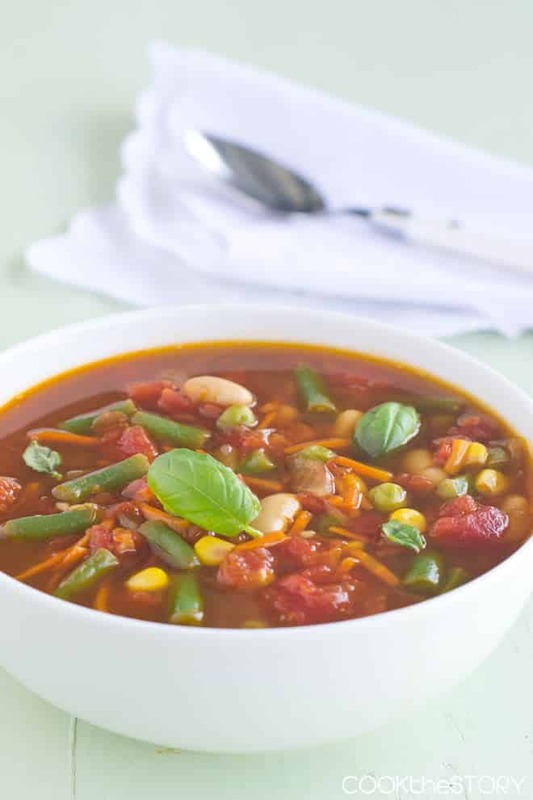 Click here to head over to Around My Family Table and get the recipe for my Slow Cooker Italian Vegetarian Bean Soup. What is your favorite thing to cook in a slow cooker? Since I’m still new to it, I’d love to hear your ideas. Scroll down to the comment section to tell me what you love. Disclosure: This post contains Amazon affiliate links meaning that if you click one and buy something, I will earn a small percentage of the sale price. All opinions are my own. The soup looks delicious, and so glad I could help with your conversion to slow cooking!